“Brighton Rock” contains a little bit of everything that made Queen so special. It’s not like it was in the ’80s, when a single song like “Pretty In Pink” or “Eye Of The Tiger” could drive interest in an entire movie soundtrack. You usually need some kind of gimmick to drive interest in a soundtrack, like the way the Guardians Of The Galaxy films feature a plot point where the main hero constantly plays an old cassette tape left behind by his mother. The summer hit Baby Driver possesses an even more ingenious reason to showcase its music: The title character has a bad case of tinnitus that only an endless stream of tunes can temper. Tracks chosen for the film run the gamut from old school funk to thumping hip hop to easy listening balladry. But the so-called “killer track” for the main character is “Brighton Rock,” an unforgettable blast of high-tempo classic rock courtesy of Queen. 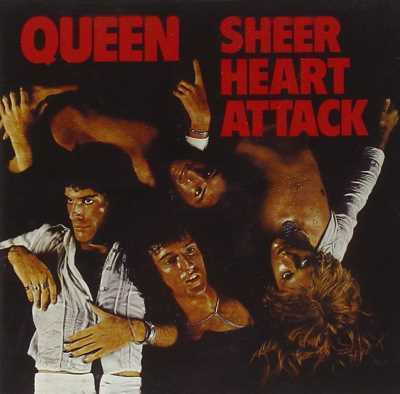 The song is the opening number on the band’s third studio album, 1974’s Sheer Heart Attack, and is notable for guitarist’s Brian May’s incredible showcase in the middle of song, a staggering combination of instrumental dexterity and studio innovation. The solo, which was achieved by using the new (at the time) technology known as the Echoplex, garners a lot of the attention from people who hear “Brighton Rock,” and understandably so. But May’s lyrics about a holiday affair also deserve praise. Freddie Mercury’s lead vocal adds some spice to the tale, as he embodies both main characters, Jimmy and Jenny, by lowering and raising his spectacular voice. After May attacks the listener from all angles in the extended solo, his lyrics take a surprising little turn in the final verse. Jenny expresses her devotion in loving letters to Jimmy, who, in turn, reveals that his heart was already spoken for: “Oh no, I’m compromised, I must apologize/ If my lady should discover how I spent my holidays.” It turns out that Lady Moon’s magic is as fickle as the mortals on whom she bestows it, after all. “Brighton Rock” contains a little bit of everything that made Queen so special: a dynamic rhythm section (John Deacon and Roger Taylor), May’s acrobatics, Mercury’s charisma, dollops of bombast, showmanship and heart. And, oh Baby, does it ever work on the silver screen.